Conrad's list of accomplishments and adventures around the world rank him as one of the greatest explorers of his, or any, generation. 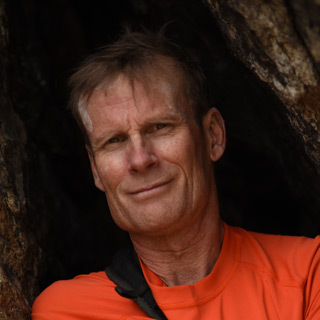 From big walls to arctic massifs to 8,000-meter summits, his ability to adapt to all conditions and styles of climbing are unparalleled, spanning the past four decades. Conrad and his wife, Jenny, live in Bozeman, MT, raising 3 sons and working on various philanthropic projects around the globe. A tough, hard-wearing personal drink cooler that maintains ice twice as long as plastic tumblers. What goes through your head when you first wake up in the morning when you go climbing? A quick glimpse out the window to measure the weather. What season is it? Is it windy and cold? Is it sunny and calm? Depending on the season and weather, I’ll choose what type of climbing to get after. In winter, it’s ice climbing and skiing. Spring, summer and fall, I’ll be out rock climbing and trail running. If I’m traveling or it’s raining outside, I’ll opt for the climbing gym. Once the weather is dialed, the next step is to figure out the window in my schedule. If I’m at home, the Canyon of Gallatin County offers more than enough adventure. 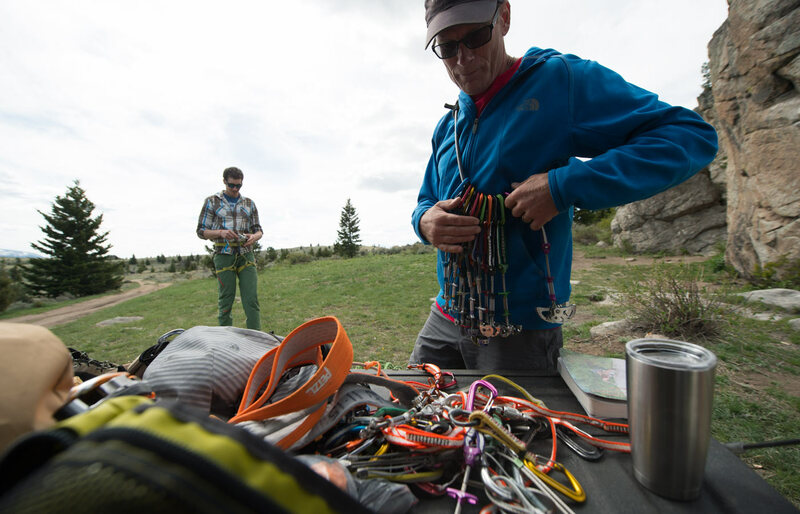 Ice climbing in Hyalite, rock climbing in the Gallatin and up at the Bozeman Pass. With five types of rock to choose from I never have the problem of “getting bored”. I would be a kinder person. Anyone that doesn’t give up. We have this ability in our own life. Taking the talent we are born with and applying determination and a willingness to try after failure is a pretty special thing. If it were one person – Sir Edmund Hillary. After the first ascent of Everest, he turned his attention to helping others. All climbers are indebted to him for setting the bar. And setting it well. I love the exhilaration of being in the mountains, on top of a peak, midway up the pitch. It is life-affirming. I am alive and living in the moment. The loss – both personal and in our community is the worst part. The pain that survivors are left with makes it a challenge. If you could bring anybody in the world with you to do what you loved (dead or alive), who would it be? To spend a day climbing a moderate route in the mountains with Thomas Edison would be all time. Sharing the technological advances since the electric light, which he invented, to a handheld computer and seeing how he reacted and understood where we are today. I would ask him how he would address the challenges humankind faces in the next 200 years. To get a bit of his creative glow would be amazing. What would be your day job if you weren’t doing what you’re currently doing? Teaching science to 4th and 5th grade students. 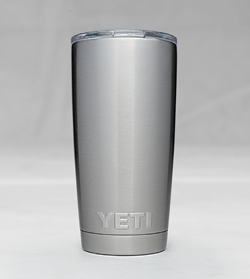 YETI reflects my obsession for quality and durability.